Olevia is one of the more economical HDTV manufacturers, making TVs that are often much cheaper than their competition. However, though they are priced at a bargain, Olevia HDTVs are far from inferior. The majority of units made by this company have some great features and very good color balance, landing them favorable reviews with many top experts. If you are thinking about getting an HDTV from this brand, read this review to find out exactly what you should expect to get from this company. Searching for a specific Olevia TV review? Although Olevia is not one of the more popular brands, mostly due to poor advertising, many people wonder how good this brand is. While their advertising is poor, their products are generally very good. This article will examine this TV brand in many different facets, so you will understand how well these TVs are. Though definitely not the best manufacturer, the Olevia company may be the best for bargain-conscience shoppers. Olevia usually lures in customers with low prices, but this also makes many people wary about how good the color and quality are. The picture quality is actually among the best in the budget-friendly sector. The color balance is often noted as being very good, though it does suffer in some dark scenes. However, the RGB custom controls allow you to easily change the color balance. Most of their HDTVs have above-average color and quality, though most of them do show some weakness with dark scenes or scenes with an inordinate amount of movement. The biggest problem with the Olevia brand is their product manuals. The manuals are often written just as well as other manuals, but they are not printed on paper. What you get is a digital manual on a CD, so you can only read it from a computer. This is inconvenient, and it is often cited as a major problem with this brand. Olevia is often among the lowest priced HDTVs, and while they offer quality, the units are often marketed to budget-conscience buyers. Their price tag undercuts most of the other well-known brands, making them easier to buy. While the picture quality is definitely good for the price, you may be disappointed if you are looking for an aesthetically pleasing TV. The Olevia brand tends to look very boring. The design isn’t sleek and polished, and it can make a poor centerpiece for a living room. If you just want picture quality, then you will definitely get it with Olevia. However, if you want a powerful looking centerpiece for a room, then Olevia begins to show some weakness. Most TV manufacturers suffer from poor customer service, and Olevia joins their ranks. Aside from the manuals being inconvenient to read, you can get setup and technical assistance by calling their customer service department. Usually the wait times are not very bad when you are waiting for a representative, but there are many reports that the customer service staff is not very friendly, plus it can take some time to get to a real person due to their automated service. While it’s impossible for the customer service team to assist with all of your problems, since you are just talking over a phone, they can usually help with most issues. The problem is that most of the employees sound very unmotivated, making it a pain to talk with them. For small issues, this might not be a big deal. If you have a major issue, then hearing this voice may cause you to explode. However, since every customer service employee is different, you may reach one of the employees that is friendly and helpful. If you need help, call the Olevia customer service department and the people should be able to help you out. When you are deciding between different HDTV brands, picking one of the cheaper brands is often a gamble. You never know if you are getting that unexpected jewel, or a low-quality set with poor color and difficult controls. While Olevia definitely does suffer from a number of small problems, like difficulty with dark scenes and a boring design, the Olevia brand is quite good with picture quality. If you just want an HDTV that has a small price tag and works well, the Olevia will normally be a good choice. However, if you are looking for a centerpiece, then you want a more exciting looking unit. Regardless, the Olevia brand delivers for the price, and the picture quality is on par with many of the more expensive manufacturers. 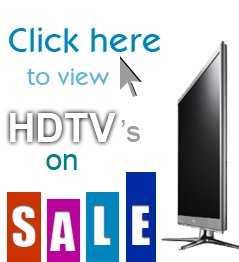 If you are looking for an HDTV, but don’t have a lot of money to spare for one, then consider this brand. The set should serve you faithfully, and you shouldn’t have any major problems with it.